Visiting Vegas again. In contrast to my visit 2 years ago, the then-latest addition to the famous Las Vegas Strip was the "Wynn", a hotel shaped as a panpipe and already legendary. 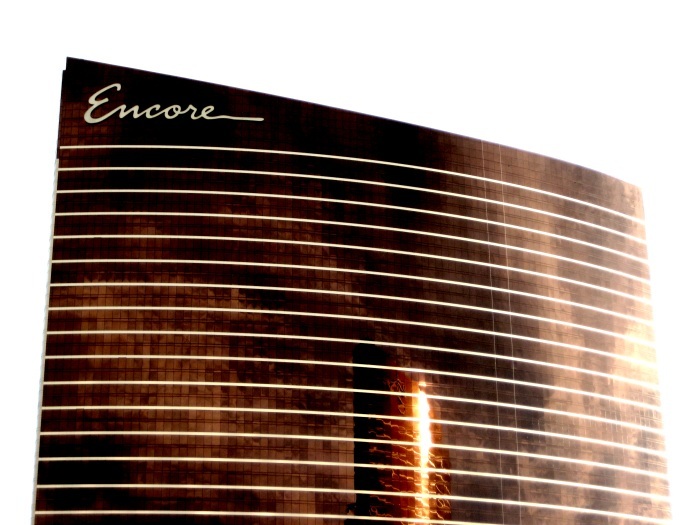 Next to the Wynn they have the "Encore" ready now, which I suppose is the sister hotel to the Wynn. If you look close, you can see the Wynn reflecting in the Encore.